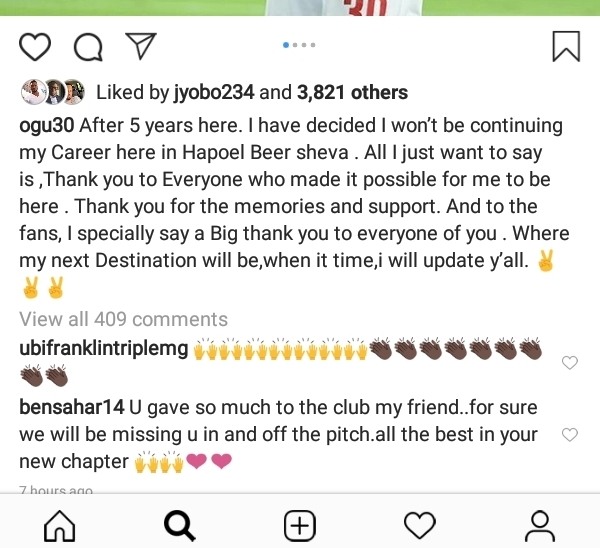 Ogu joined Beer Sheva in September 2014 and after a trophy-laden five years with the club, the midfielder announced on his IG page that he will be leaving at the end of the season. John Ogu won six domestic titles with Hapoel Beer Sheva during his five-year stay at the club and in 2016, he was named the Best Foreign Player in the league after helping Hapoel Beer Sheva to their first league title in 40 years. Although he was offered a new contract,he rejected and has decided to leave to seek fresh challenges. I wish him a better life ahead. The name of the club though. 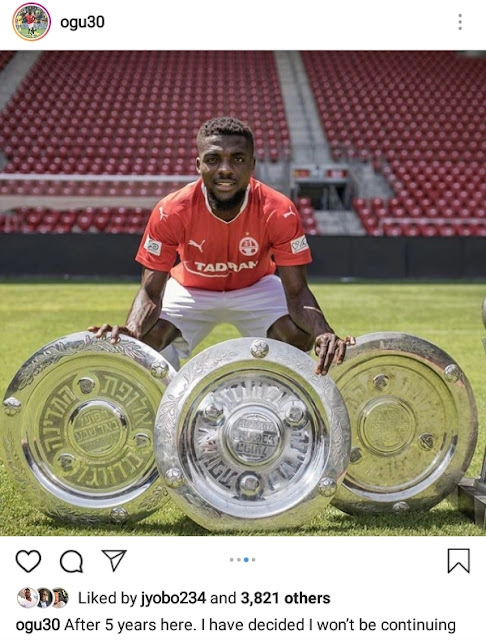 Wish you all the best John.